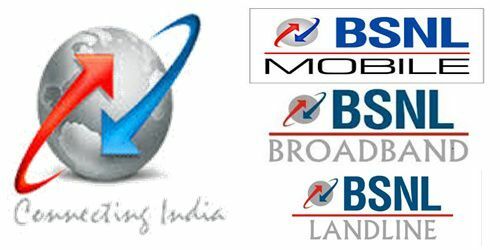 BSNL Mobile prepaid subscribers who purchases selected data plans can watch Eros Now movies, music videos, Web shows and videos at no additional cost. India's first online video brand, Eros Now Entertainment, has partnered with BSNL to offer BSNL customers access to view over 11,000 film titles, music videos, original Web programs and free exclusive videos, etc. The Eros Now subscription scheme will be available on selected Internet packs / prepaid Data vouchers. The telecommunications company revealed details of the few plans prepaid packages like Triple Ace 333, BSNL Chauka 444 and new STV 298. Eros Now's Executive Director, Rishika Lulla Singh, "India's rural areas are experiencing a significant increase in mobile penetration and data consumption, we are ready to meet this growing community and our association with BSNL is a step forward to bridge the gap between rural and urban areas, through the expansion of Eros Now Entertainment services ". Data package of Rs.98 offers 2 GB of free data per day, with further benefits of EROS Now Entertainment services instead of 1.5 GB of data per day. However, the validity of this package is reduced by two days, ie from 26 days to 24 days. Triple ACE 333 data coupon offers unlimited use of free bundled data (reduced to 80 Kbps after daily 3 GB data) with the additional EROS Now Entertainment Services feature. The validity of Triple ACE 333 is not changed, ie 45 days. BSNL Chaukka 444 data coupon offers unlimited and free use of pre-packaged data (reduced to 80 Kbps in the case of 4 GB per day) with the additional benefit EROS Now Entertainment Services. The validity of Triple ACE 333 is not changed, ie 60 days. Newly launched Rs.298 special internet package also provides access to EROS NOW services with unlimited voice calls (HPLMN / National Roaming, including the areas of Mumbai and Delhi) and free unlimited data including 1 GB per day (reduced speed at 40 Kbps after the daily limit). Furthermore, with STV 298, 100 additional text messages will be offered per day. This combined package 298 is valid for 54 days. All the above advantages will be applicable to prepaid customers in all telecommunications circles and will be available from 11 February 2019 onwards.